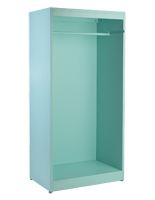 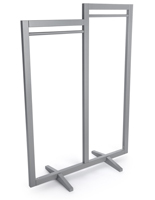 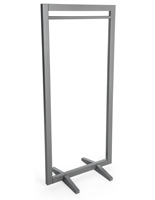 Display clothing on this square frame garment hanger stand for a modern store fixture. 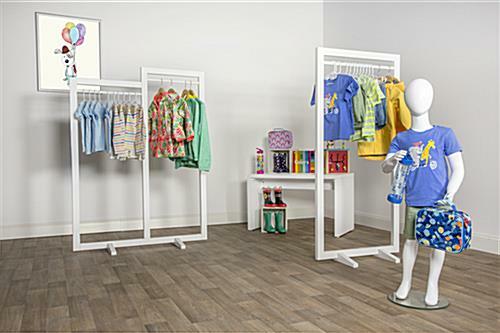 Featuring one clothes rail, each rack showcases a collection of inventory. 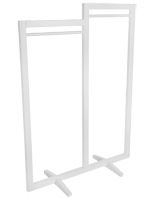 The white frame garment hanger stand provides a complementary finish to your existing store fixtures. 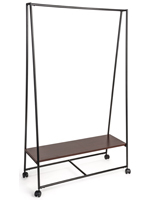 Display seasonal collections on the rack for a minimalist retail arrangement. 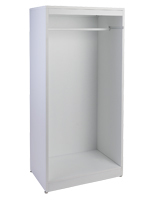 A neutral white finish provides the perfect holder for merchandise. 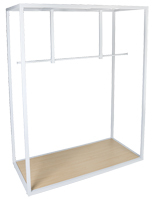 Update your store and create a contemporary look with this garment hanger stand. 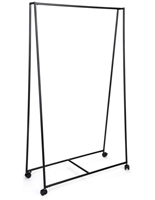 28.0" x 60.0" x 17.5"